Home Health Fraud Prosecution Defense Lawyer - Oberheiden, P.C. The home health services industry is currently one of the fastest growing industries in America. According to the federal government’s Bureau of Labor Statistics, the need for home health services could increase by as much as 48% by 2022. In order to fulfill this rising demand, healthcare companies generally require minimal to no medical training for home health service providers. Indeed, Medicare provides for compensation to friends or family members of patients who are appointed as their home health service providers. Home health services are becoming more and more attractive to elderly patients who cannot afford, or do not yet require, the full service of a nursing home. What Are Home Health Services? Home health services are medical and caretaking services provided to patients who, due to their condition, are not recommended to leave their homes. In order to qualify for home health services, a patient’s primary care physician must certify that the patient is “homebound” and requires one or more specifically enumerated services that can be provided in an out-patient environment, such as physical therapy or intermittent skilled nursing care. What Is Home Health Fraud? Home health fraud typically involves either fraudulent billing for services or false certification of the need of services. Common types of home health billing fraud include billing for unnecessary or unprovided procedures, tests, or equipment, paying kickbacks to patients for the use of their Medicare/Medicaid number to charge for services, and inflating bills through exaggerated billing codes. False certification fraud typically involves a physician receiving kickbacks for certifying ineligible patients as eligible for home health services or a physician other than the patient’s primary care physician providing the certification. With the growth of the home health services industry has come increased government attention on monitoring service providers and prosecuting those providers suspected of defrauding healthcare companies. 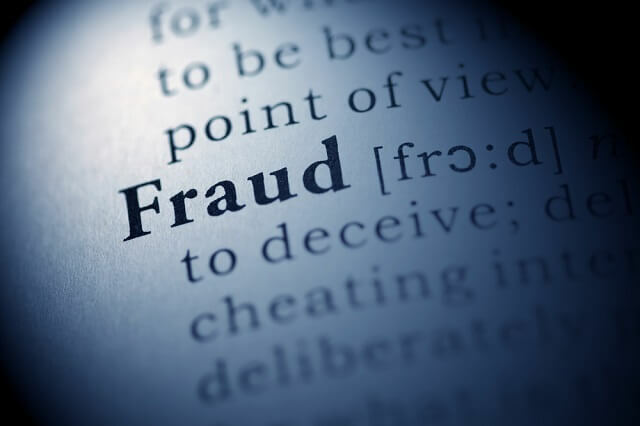 The Department of Justice (DOJ) and the U.S. Department of Health and Human Services (DHHS) are working together with state officials to actively investigate and charge individuals suspected of committing home health fraud. What Should You Do If You Are Being Investigated? Call Dr. Nick Oberheiden at 1-800-810-0259! If you are being investigated for home health fraud, or have reason to suspect you are being investigated, you should contact us immediately. Home health fraud changes may be civil or criminal in nature, and hiring an experienced defense attorney may help you avoid criminal charges in lieu of civil penalties, such as fines or restitution. An experienced attorney will also advise you on how to avoid self-incrimination during the investigation and how to avoid incurring additional related charges such as obstruction of justice or perjury. At Oberheiden, P.C., our experienced defense counsel and former federal prosecutors routinely receive calls from clients around the country for assistance in their times of need. The strength of the firm is based on three prongs: our industry knowledge, our government experience, and our ability to keep investigations from becoming criminal. Result: No liability, case dismissed. If you would like to talk to someone who understands how to effectively defend against government investigations, you should consult with a former federal prosecutor at Oberheiden, P.C.. All inquiries are free and confidential. This information has been prepared for informational purposes only and does not constitute legal advice. This information may constitute attorney advertising in some jurisdictions. Reading of this information does not create an attorney-client relationship. Prior results do not guarantee similar future outcomes. Oberheiden, P.C. is a Texas LLP with headquarters in Dallas. Mr. Oberheiden limits his practice to federal law.